When the club made Bielsa the highest-paid boss in their history in June, the appointment was greeted with a mixture of apprehension and intrigue. Today, he is on the verge of becoming a hero to the club's long-suffering fans. After decades in the wilderness, Leeds United are chasing a long-awaited return to the Premier League – thanks to the eccentric genius of Marcelo Bielsa. Bielsa's side currently sit three points clear at the top of the Championship heading into Saturday's crucial clash with second-placed Norwich. With 17 games remaining, Leeds are on course for promotion to the promised land after 15 years of purgatory in the lower leagues. The sleeping giants from Yorkshire are stirring at last – fittingly just months away from the 100th anniversary of their foundation in October, 1919. Leeds United's unexpected revival has been masterminded by Bielsa, the 63-year-old nicknamed 'El Loco' for his hair-raising antics throughout a colourful managerial career. 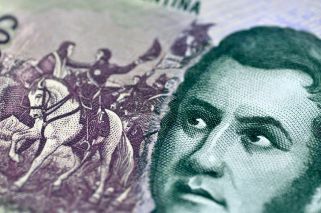 When the club made Bielsa the highest-paid boss in their history in June, the appointment was greeted with a mixture of apprehension and intrigue. The Argentine is Leeds' 11th man at the helm in just six seasons, including Neil Redfearn twice, a statistic that underlined what a mess the once-proud club had become. Add Bielsa's reputation as a volatile character and it seemed Leeds chairman Andrea Radrizzani was throwing petrol on a raging fire by hiring the former Marseille coach. But, showing why Pep Guardiola describes him as the "best manager in the world", Bielsa and Leeds have proved a match made in heaven. With a commitment to a high-tempo attacking style, Bielsa has moulded the team in his own image, all the while watching the action from an upturned blue bucket on the touchline. He claims his curious vantage point gives him a better view because the dugouts at Elland Road are below pitch level. 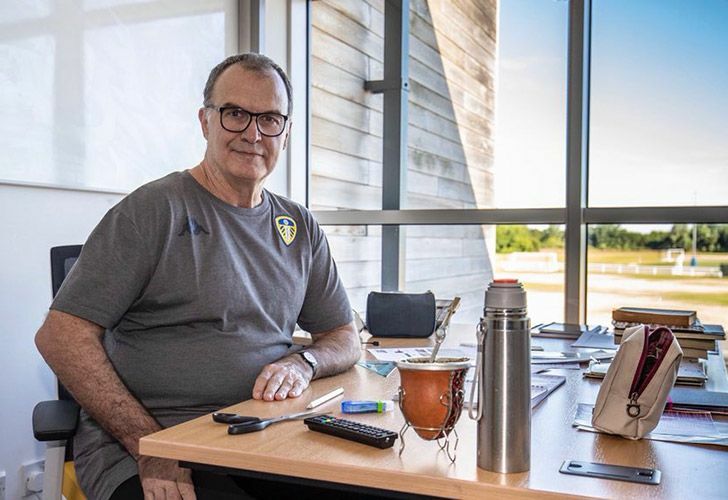 That sideshow, typical of his idiosyncratic style, should not detract from Bielsa's demanding and detailed philosophy – which has him insisting players clean their own changing room and putting them through gruelling 12-hour days in pre-season. "I am not a demagogue. When I speak I try not to please people. I try not to lie and I try to tell the truth but sometimes it's hard not to be empathetic," Bielsa says of the secret to his success. He even had a bed and kitchen installed for himself at the training ground and requested sleeping areas for his backroom staff as they work into the small hours. "He is very strict. It is like being in the military," Leeds midfielder Mateusz Klich said. The manager's scorched earth approach has turned the tide at a tortured club infamously labelled the 'Damned United' by novelist David Peace. Champions of England in 1969 and 1974 under Don Revie, then in 1992 when Howard Wilkinson called the shots, Leeds have a rich history. But since being relegated from the top tier 15 years ago, Leeds have stumbled from financial disaster off the pitch to despair on it. Describing the club's ascent to the heady heights of the Champions League in the early 2000s, former chairman Peter Ridsdale claimed he had "lived the dream." But their subsequent fall from grace was a never-ending nightmare that hit its lowest ebb in 2007 when Leeds went into administration and were relegated to the third tier for the first time. No wonder Leeds fans have lapped up the Bielsa revolution. That replicas of that famous bucket are a popular item in the Leeds club shop speaks to the self-depreciating humour so prevalent in Yorkshire. But the debt of gratitude felt by supporters for the Argentine is far more profound. "Bielsa is not like any manager we have had before. He has a football mind, he lives and breathes football knowledge," Julie Trimble, a Leeds season-ticket holder and fan since 1971, told AFP. "Nobody expected Bielsa to be as good as reported in the press. Leeds have had 'good managers' in the past and they haven't done what they have done at other clubs. I don't think we have had a manager like him before. People say he is like Don Revie. I don't think so, he is unique." Even the recent spy-gate scandal – which saw Bielsa admit he sent staff members to watch opposing teams in training – has only strengthened the bond between the win-at-all-costs manager and the long-suffering supporters. "We are very happy at the moment. We have had too many bad years. I think it's time Leeds had some joy at last," Trimble said. Thanks to Bielsa, that bucket-list dream of reaching the Premier League is in sight at last.